Two years ago today, I typed my first few words on this little blog-o-mine. It's been a wonderful little diary of our lives, and I'm so glad I've been able to regularly blog about our family. It's another birthday today as well. . .
Another year older. . . another year wiser . 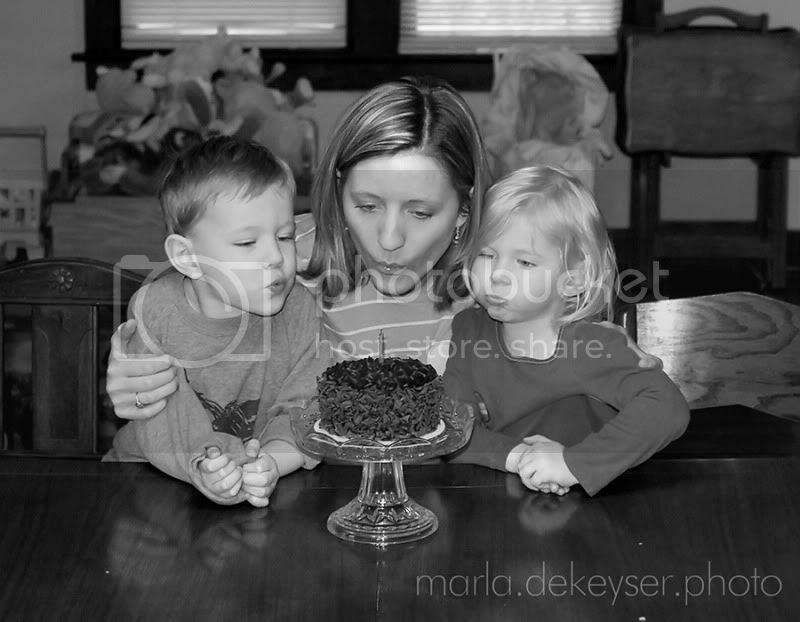 . . another year that I get to love on these munchkins. . . another year grateful. Happy Birthday Marla. I hope you have a beautiful and fun birthday. Also, I have enjoyed your blog so much over the last year and am one of your biggest fans! Much love. To My Boy . . .
Just So Ya Know . . .